I got my new license plates and managed to snag the best plate possible, as you can see. 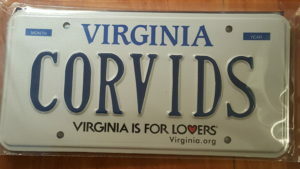 I am also encouraged by the fact that the plates CAW CAW and CROWS were taken, meaning that there must be other enlightened folk out there in the Great Commonwealth of Virginia. But CORVIDS is the most appropriate for our purposes; we don’t want Snafu to feel left out. #rateaspecies on Twitter. People describe animals as if they were products on Amazon. Many of the entries are quite funny. Check it out if you need a laugh. 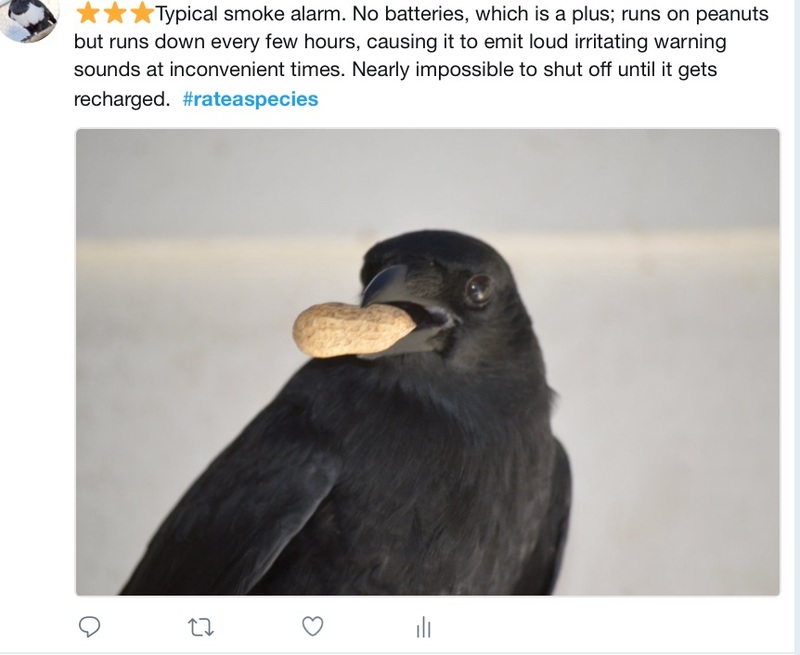 No one had posted anything for a crow, so I fixed that. Zen appears to be on the mend. He has stopped plucking his feathers and the bald patches are no longer visible. His digestion seems to be functioning normally. I hope soon we’ll be able to reduce, or maybe even eliminate, all the medicine. He’s even exhibiting a little corvitude. I offered him a treat, which he took and spat on the ground. Being dumb, I offered him another, so he nipped my finger. I got that message. Being subtle with humans is simply a waste of time. Cherry blossoms at their peak!